I’m intrigued to write this piece. My curiosity is piqued. It feels like an open invite to share what makes up so much of my writing practice: stories and lives. For 8 years, I’ve been interviewing, recording and archiving other people's real lives. 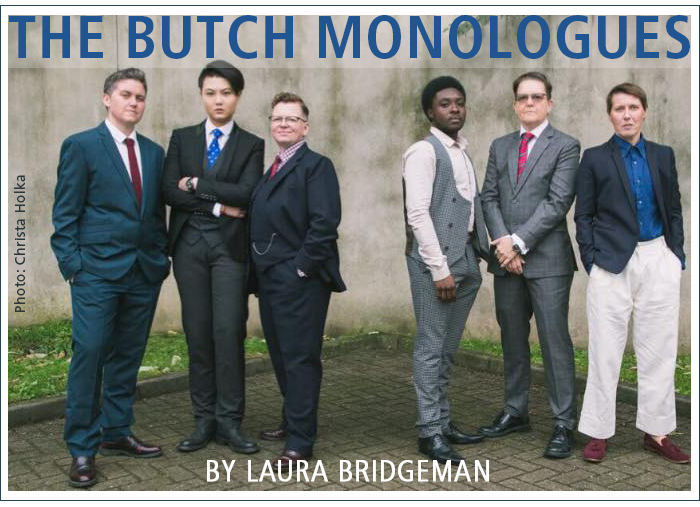 I’ve created 2 verbatim theatre shows and accompanying publications – There Is No Word For It / The (Trans) Mangina Monologues and The Butch Monologues. The first was done with my writing partner, Serge Nicholson, the second in collaboration with Vital Xposure and The Drakes.